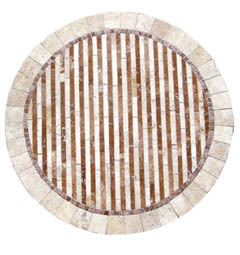 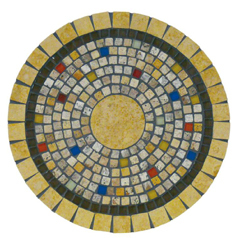 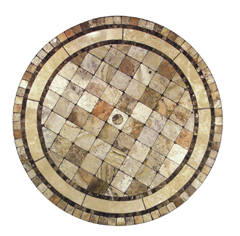 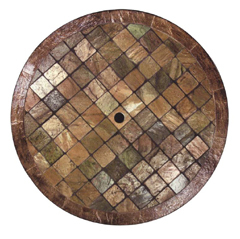 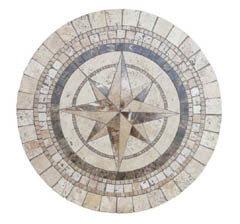 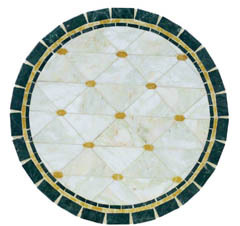 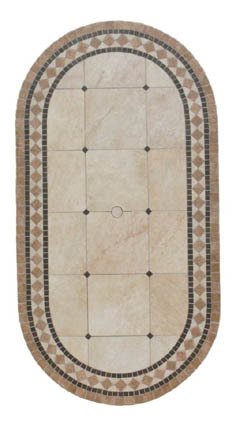 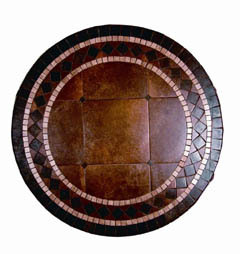 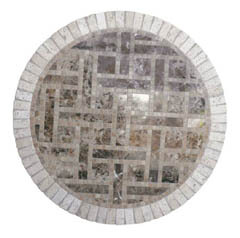 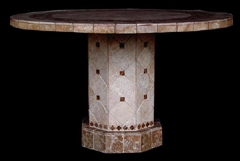 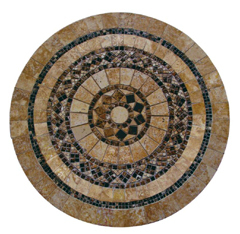 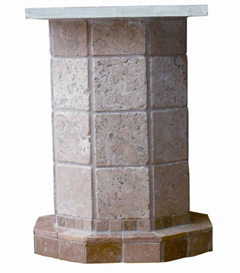 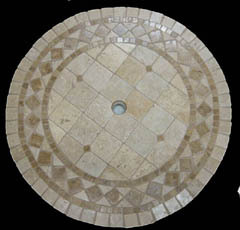 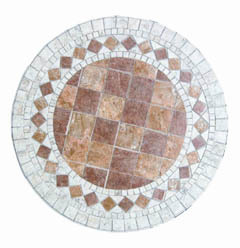 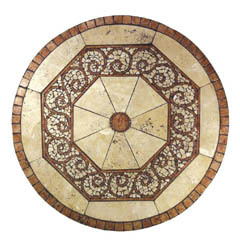 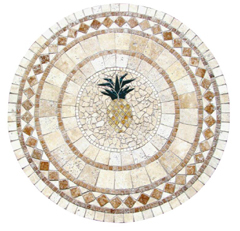 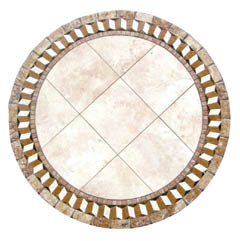 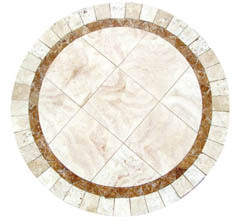 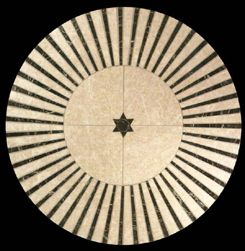 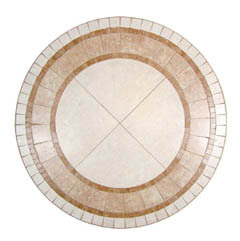 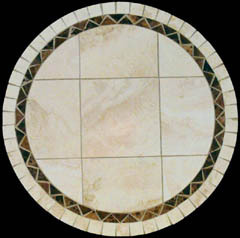 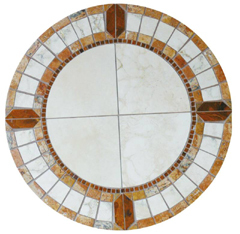 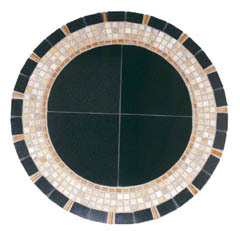 Below you will find a wide and varied collection of natural stone cocktail table designs crafted from mountain born mosaic chips. 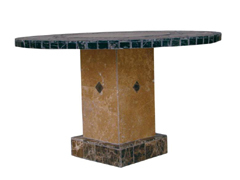 Every single design you see below can be crafted into a table of any shape and size that you desire, allowing you to customize the exact, perfect table for your home. 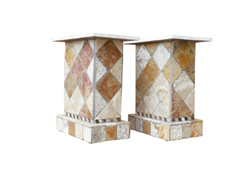 Exquisite works of american made design, fused with natural beauty, available for indoor or outdoor living room use. 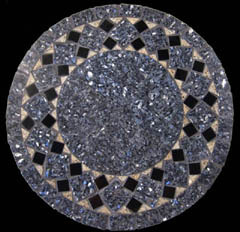 A maze of interconnected stone chips, leading the eye ever deeper into the enchanting puzzle splayed out before you. 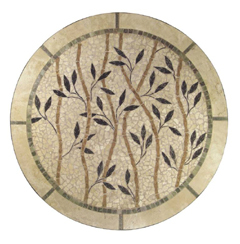 An attractive and intricate design that merges human design with natural mountain born beauty. 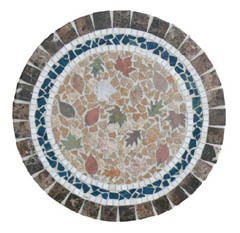 Leaves of a thousand colors trail merrily down the surface of these attractive mosaic table tops, creating patterns of hue and design which wistfully lace one within the other in an attractive autumnal design, which is bordered by blue and brown stone chips. 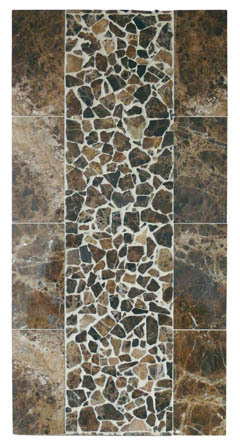 The natural beauty of the lightly connected stone facade calls to mind the footsteps of an ancient palace, the hallways of some grand castle, or the footsteps of a courtyard in an ancient part of rome. 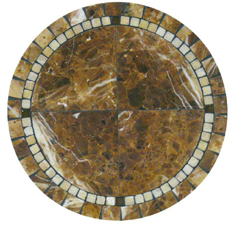 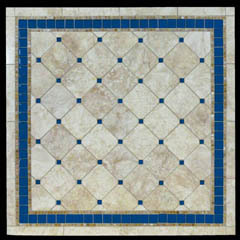 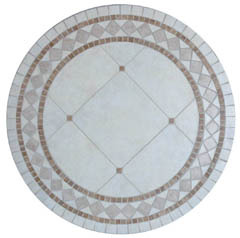 Although the design pictured here is in square form, each of the designs shown on this page can actually be crafted into a wide variety of both square and round shapes, allowing you to customize your piece, making it look exactly like you want it to. 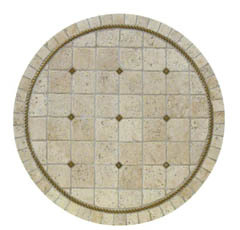 Crafted in round, square, oval, or rectangle shapes, and built to your size preferences. 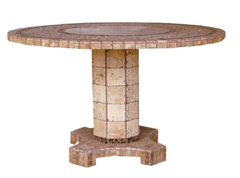 The surface of these attractive tables is a complex array of images and patterns, intertwined in a myriad of ways that twist and loop across the face of the piece, branching arms reaching out, tiny leaves sprouting, and the overall effect, one of vibrancy, life, and hope.